Pastor Brent is a gifted leader and teacher who has a passion for the Word of God and loves to teach and preach it to both those sitting inside the church and those outside the church walls. It is Brent’s desire to see the church be nourished and developed through the inspired Word of God and to mature and grow into conformity of Jesus Christ. Brent was born and raised in Scottsburg. 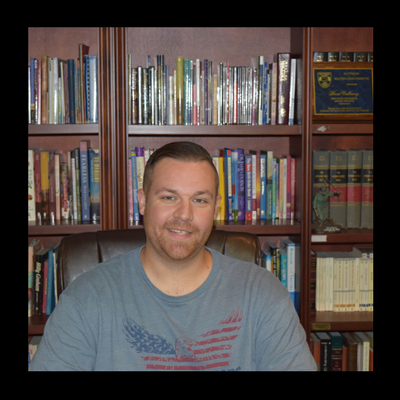 He graduated from Johnson Bible College in 2006 with a Bachelor of Science in Bible and Counseling. Upon graduating, he went on to work for the State of Indiana for six years. In 2013, he became the pastor of Zoah Christian Church and has remained the Head Pastor there until he felt called to New Bethel Church. Brent’s greatest privileges in life are to be an ambassador for Christ, a husband to his loving wife, Michelle, and father to his three children. He enjoys reading and writing, playing basketball, hiking, camping, hunting, gardening, and spending time with family and fellowshipping. We’re excited about what God is doing at New Bethel and in our community!